This October, Mandarin Oriental Kuala Lumpur will host its prettiest afternoon tea yet, exquisitely crafted by Executive Pastry Chef Antony Hoyle and famed wedding gown designer, Celest Thoi. 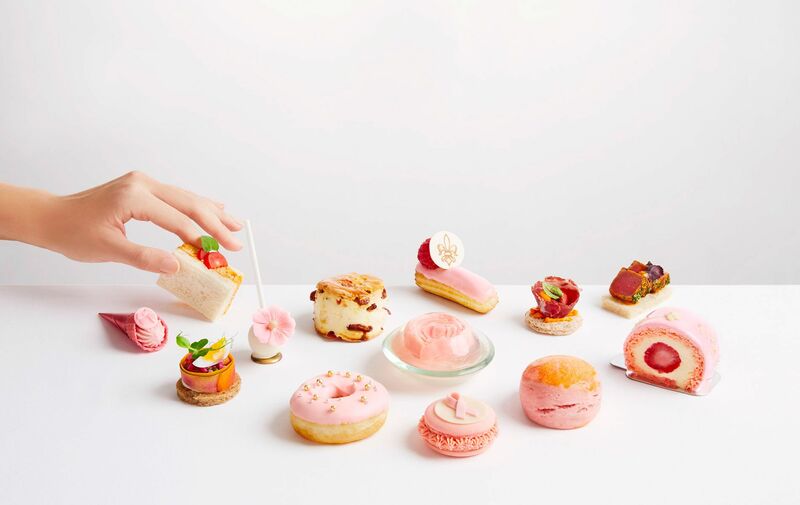 Every day from now till November 18 between 2.30pm to 6pm, Mandarin Oriental Kuala Lumpur’s Lounge On The Park will be aflutter with deliciously pink afternoon treats. The Pink Afternoon Tea, as it's called, features a menu of delicate creations designed by none other than Celest Thoi, a highly sought-after designer in bridal gown fashion. In honour of Breast Cancer Awareness Month, a part of the proceeds from the sale of this afternoon tea will go towards the Pink Ribbon Wellness (L) Foundation - so keep this venue in mind for the next high tea gathering with the girls. Enjoy the familiar flavours of rose, raspberry, lychee and cherry accompanied by layers of soft white chocolate and piped cream flowers set in a glossy rose jelly. Must-try savouries include the Russian beetroot salad finger sandwich with sour cream and quail egg. Inclusive of a free flow of hot beverages for up to 2 hours, this special afternoon tea is priced at RM 158 per person (RM208 with a glass of champagne thrown in). For reservations, call 03-2380 8888 or send an email to mokul-lotp@mohg.com. While you’re faced with all this pink-hued goodness, don’t forget to snap a creative photo of anything pink and upload your picture on Instagram using the hashtag #PinkAfternoonTeabyMO for a chance to win an Inner Strength spa treatment for 2 at Mandarin Oriental Kuala Lumpur’s the Spa. For more information, visit www.mandarinoriental.com/kualalumpur.